Who can resist the heady scent of Jasmine? It has been grown for its ornamental and highly fragrant flowers for centuries in China, Japan and throughout Southeast Asia and Indonesia. 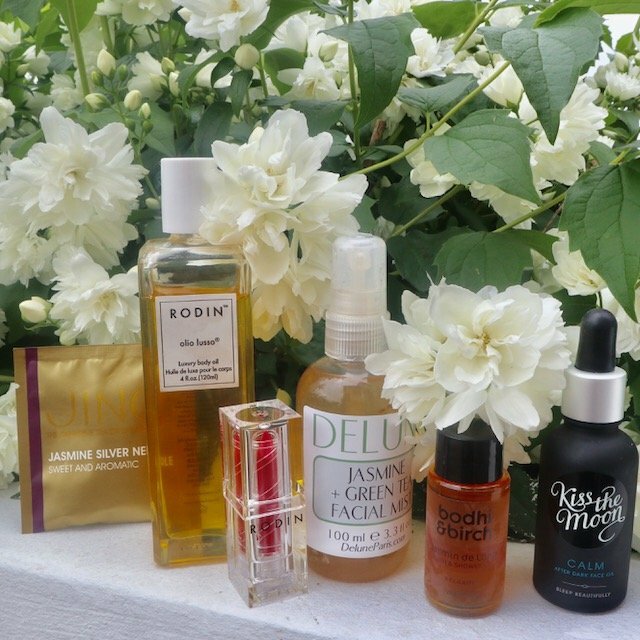 But this flower is not just a pretty face… it has some fantastic health benefits to it too – and has become quite popular in the skincare industry. So what makes this flower so fabulous? Let’s talk about it. Throughout History, Jasmine has been used in many different ways for health benefits. The Chinese used the stems, petals, roots, and leaves for pain relief and they also used the flowers to ignite passion. The roots were used internally to treat headaches and insomnia and were reported to have anaesthetic properties. Jasmine tea is made from the flowers, but what is mainly used in skincare is Jasmine oil, which is extracted from the flowers. The main components of Jasmine oil are benzoic acid, benzaldehyde, benzyl acetate, benzyl alcohol, indole, benzyl benzoate, cis-3-hexenyl benzoate, cis-jasmone, ceosol, eugenol, farnesol, geraniol, linalool, methyl anthranilate, p-cresol, nerol, gamma terpineol, nerolidol, isophytol, and phytol. Jasmine tea uses the jasmine blossoms and is known for its therapeutic and antioxidant purposes. In fact – Jasmine tea is not considered a ‘herbal tea’ – it’s actually based with normal tea (green, white, black, or oolong) which is then flavoured with jasmine flowers to create the scent and taste and health benefits. It is high in the antioxidant catechins, which has been shown to be integral in preventing certain serious diseases in the body. They could also be a key factor in inhibiting LDL-oxidation. This is when ‘bad’ cholesterol in your arteries gets inflamed after being oxidized, leading to a stroke or heart attack. The catechins found in Jasmine tea inhibit this oxidizing process. The scent of Jasmine has been found to have a relaxing effect. However, it can be an acquired effect for many people and it has been found that for some people who don’t enjoy the scent of Jasmine, it can have the opposite effect! The emmenagogue property of Jasmine oil can help to regulate period cycles, making them less painful and can also help push back menopause. The antioxidants in Jasmine tea can also help to increase your metabolism which can aid in weight loss. 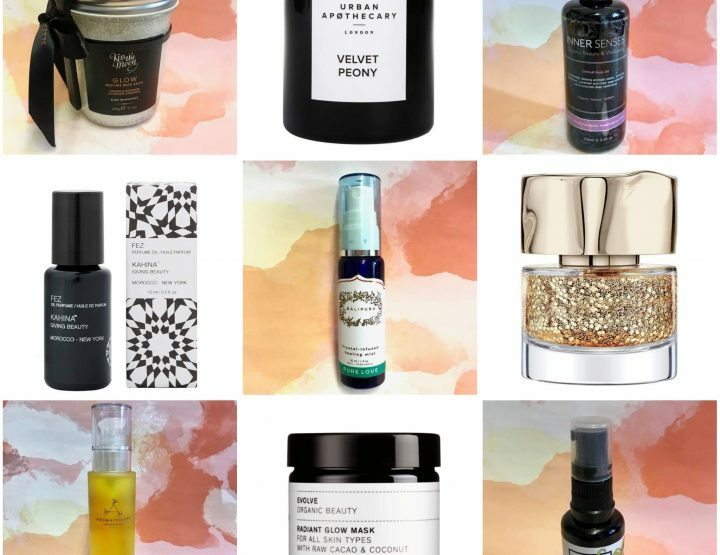 The emmenagogue properties of the oil means it should not be used in pregnancy. Jasmine oil is non-toxic, non-irritant and generally non-sensitizing. 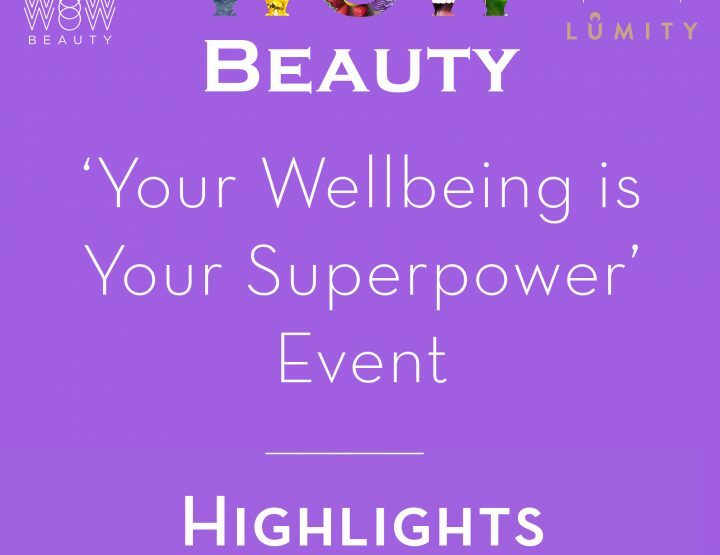 However, some people are allergic to it so make sure to do a patch test! 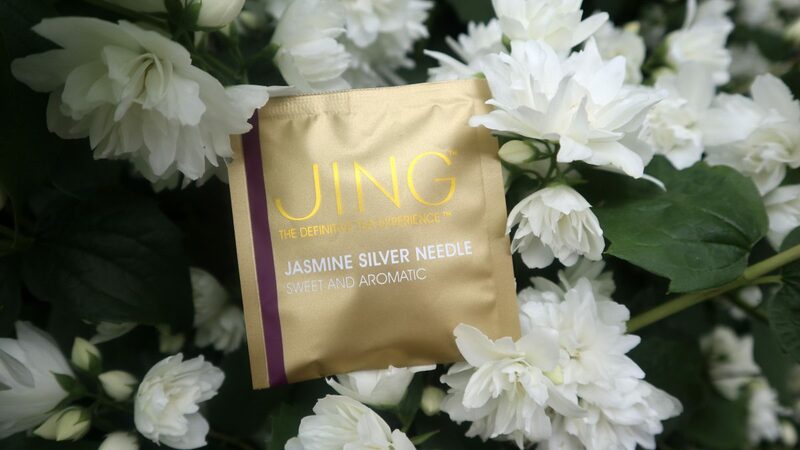 Not only is Jasmine great when consumed, it has also been used for years topically for its healing properties. It’s a great antiseptic and disinfectant, both when applied externally to wounds and when inhaled to reduce infections in the respiratory system. Jasmine is a cicatrizant so can help fade scar marks. It is very nourishing and has been used to help treat dermatitis. Thanks to a portfolio of compounds like benzaldehyde, benzoic acid, and benzyl benzoate, Jasmine has amazing antiseptic, antibacterial, and antiviral properties. 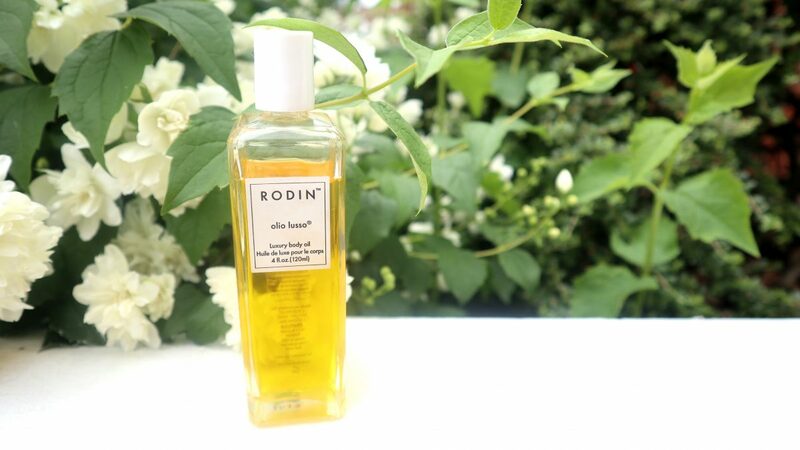 We love this Olio Lusso Luxury Body Oil from Rodin which has the top note of Jasmine. It’s a gorgeously luxe oil which can be used as a perfume too, a soothing scent for those who love Jasmine and will leave the skin softened and protected. We’ve reviewed this oil in the past here. 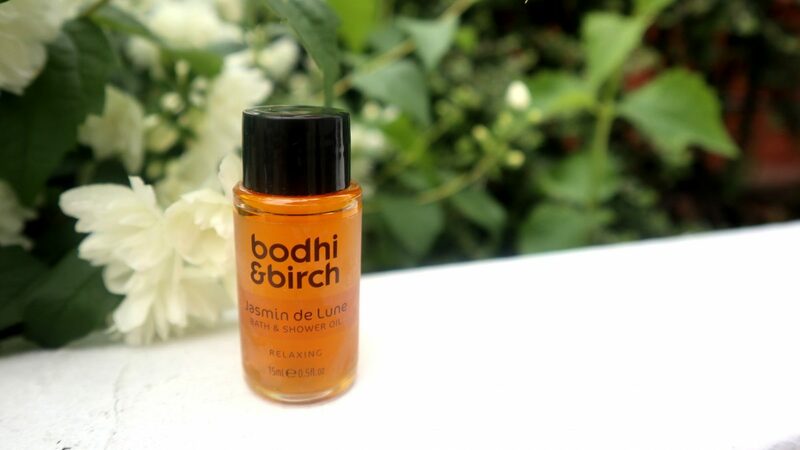 Lose yourself in a relaxing soak with the Bodhi and Birch Jasmine de Lune Bath and Shower Oil… Massage the beautiful oil into your skin to nourish it without being left feeling greasy and leaving you gorgeously fragranced with a scent that will last after you leave the bathroom. This oil is a mix of Jasmine, High-Altitude Lavender and Vetiver for a deeply relaxing sensation. 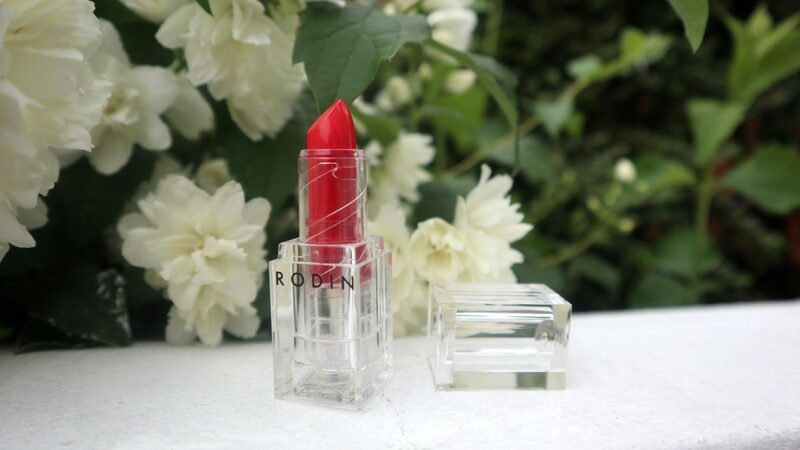 One of the key ingredients in this luxury lipstick from Rodin, along with Neroli Oil, Rose Flower Wax, Lavender Flower Wax, Apricot Oil, Argan Oil is Jasmine Oil, which you can really smell in this product. The Jasmine, along with the other ingredients, is used in this to aid in softening and nourishing the lips. Jasmine is used to help balance stressed out skin. 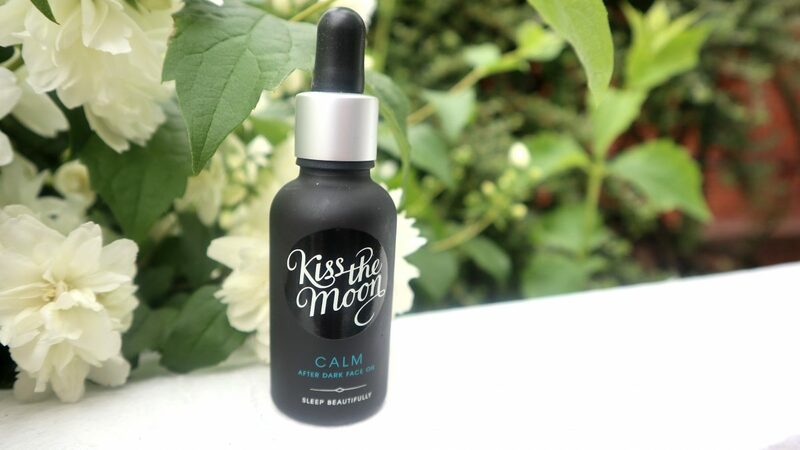 It has been used in this Kiss the Moon Calm After Dark Face Oil. 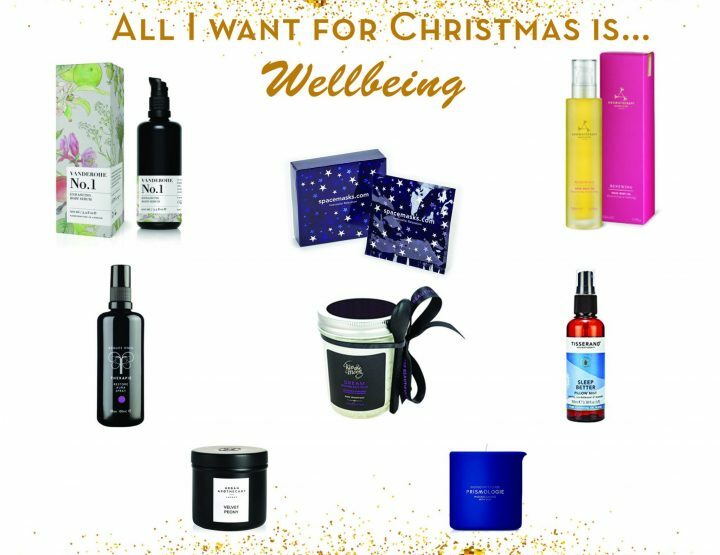 Kiss the Moon is very much focused on products aimed at helping people sleep beautifully, so this blend is also aimed at help quieting the mind, complimented with Chamomile, Ylang Ylang & Sandalwood to calm the mind and you’re supposed to use this at bedtime. This feels lucious on the skin, beautifully scented but not overpoweringly so. The skin feels calmed and soft in the morning. 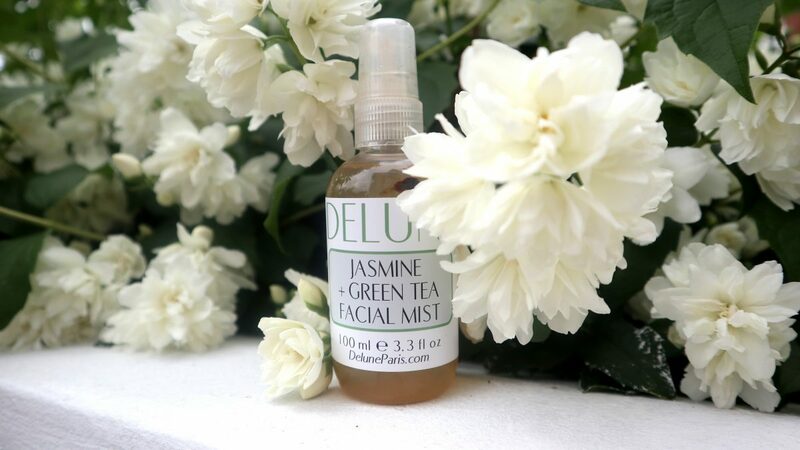 French Jasmine is used in this mist for its anti-bacterial and soothing properties, along with the scent and the fact it is loaded with antioxidants. This is a great and fragrant mist to refresh your skin throughout the day, along with soothing it. What do you think about Jasmine? Does it relax you or has it got the opposite effect? 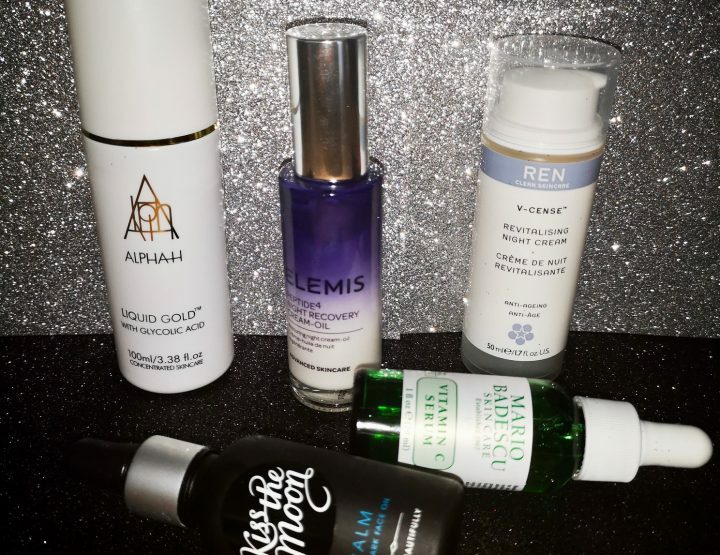 Night time skin boosts for that extra hour!